We open at the river with Kyung Soo crouching down and saying he’s certain Hae Ram went to a good place. 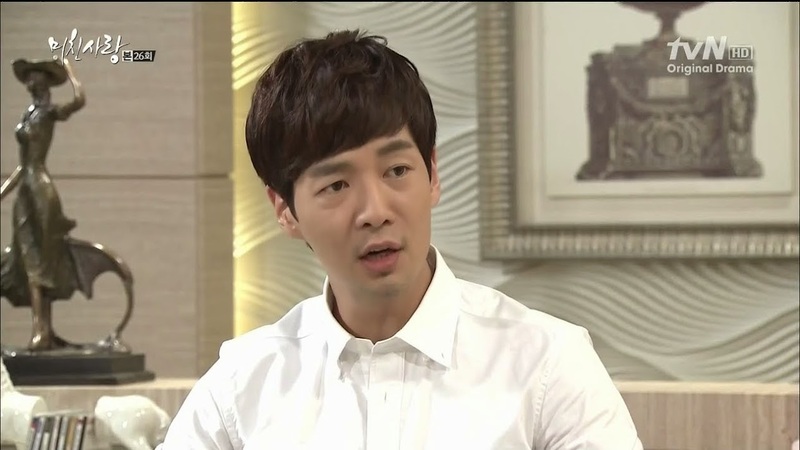 Mi So asks if he thinks Hae Ram blames her or not. Kyung Soo assures Mi So that Hae Ram knows just how much her mother loves her. Mi So says that Hae Ram was like her angel. She then wonders what would have happened if Hae Ram had been born to a different mother. Her life would have been happier and longer. Mi So then says she has committed a grave sin against her daughter. 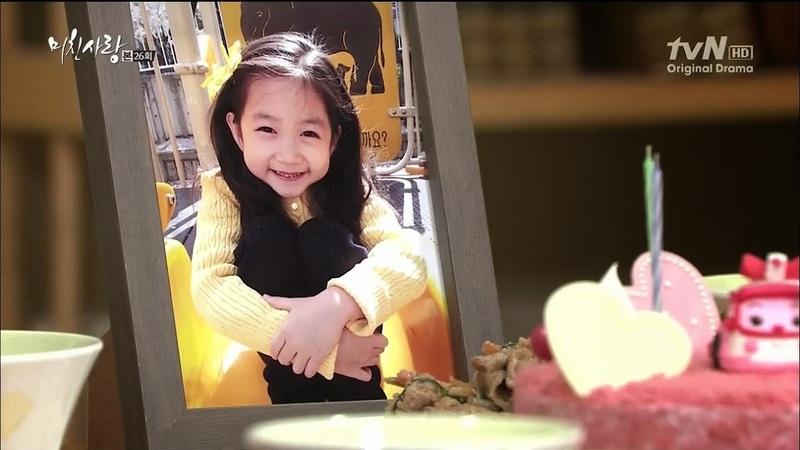 She then explains that for Hae Ram’s upcoming birthday, she promised to bake a cake and go to the orphanage together. She never thought she wouldn’t be able to keep that promise. Is this really the end between her and Hae Ram? I read somewhere in a book once that fate is something that never ends. Because there is never a real goodbye, as long as you think of that person and never forget, you’re going to see that person again. Even though you never know when that will be, as long as your hearts are connected, you’re sure to meet that person again. It’s a nice speech for Mi So. As long as she holds onto the memory of her daughter, she is sure to meet her again. I’m fairly certain that Hae Ram might still be alive and we will be seeing her again. Mi So then vows to make a promise to her daughter to keep strong and make it through all difficulties so her daughter won’t be disappointed. Kyung Soo agrees with this and holds out his pinky. She needs to promise him as well as Hae Ram. Mi So smiles briefly and nods. I so LOVE this couple. We then cut to the plotting Na Young doing her best to hint that Mi So just might be cheating on Min Jae or at least being comforted by a different man. Is she suggesting his wife has another man? Na Young says she isn’t sure and shouldn’t have said anything. She then leaves Min Jae reeling. She recalls him slapping her for badmouthing Mi So and tells him to just wait and see for himself as she sure he will find out sooner rather than later. Kyung Soo drops Mi So off at the Lee house and thanks him once more. She feels badly that she only ever tells him thank you. She then promises to treat him to dinner some time. She goes to head into the house, but stops and tells him that she was really happy he was able to accompany her and help her. He then tells her not to forget her promise to Hae Ram to stay strong and make it through everything. Inside, Mi Soo is busy getting dinner ready when she recalls Kyung Soo’s earlier words about never being disconnected from her beloved Hae Ram. These thoughts are interrupted by the arrival of Min Jae being a petty little turd as always when he’s upset. He ignores her question about dinner and heads into the room. She follows him and tells him she went to visit Hae Ram. She tells him about all that happened and after Mi So tells him her promise to Hae Ram as well as vowing to do better by her husband, he then warns her to never mention their daughter’s name again as he hates hearing her say it. Omo. I have this sudden urge to claw his eyes out. 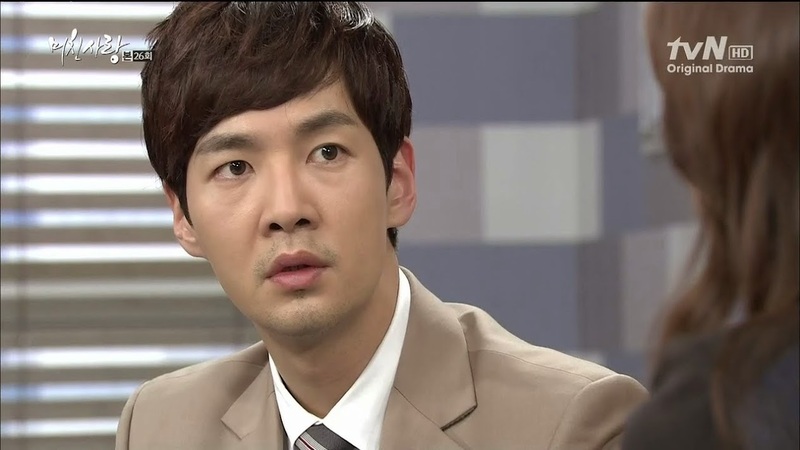 This upsets Mi So and she says the name again and Min Jae yells. Enter the mother-in-law from the lowest reaches of Hell to gripe about her daughter-in-law fighting with Min Jae and not noticing her arrival. Sheesh. Tag team effort. Myung Ja then orders the two out in the living room to talk. They follow her out and she slaps the divorce application on the table and orders Mi So to bring out her seal and stamp it. This irks Min Jae. Really. He talks so big to his mother and then turns around and contradicts his supposed devotion to his wife and their trying to work on saving their marriage by being a churlish, selfish, petulant child. Evil MIL then tells Mi So marriages last solely on children, not on feelings. Omo. I HATE when people are together solely for the purpose of children. Children are NOT the reason for a relationship. Sure…they might help a relationship last and bring two people closer together that may have been drifting apart, but if love and trust are gone…it really hurts the child more than anything else if the parents stay together (especially if parents can’t hide their true feelings from the child. Min Jae storms off to his room and Myung Ja blames Mi So for how her son is behaving now. Again, misplacement of blame. It is NOT all Mi So’s fault for losing Hae Ram, but whatever. Of course, Mi So accepts this and vows to do what she can to make up for it even though she knows its impossible. 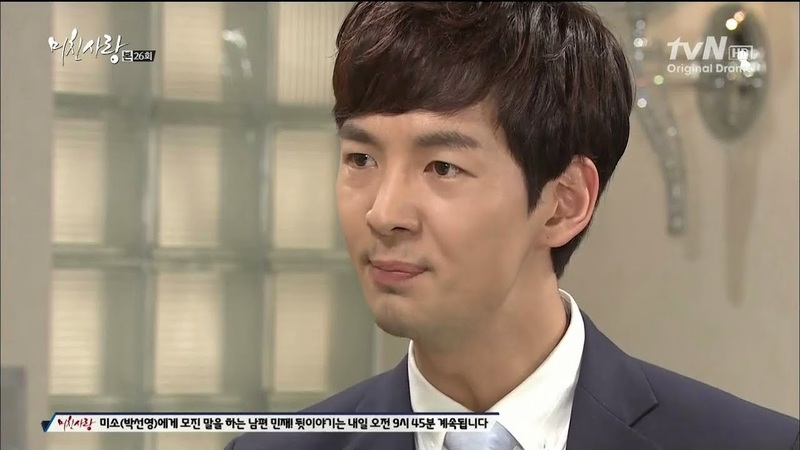 She refuses to consent to the divorce which incites Myung Ja’s wrath. The evil witch refuses to listen to Mi So and vows that the divorce will go through with or without her consent. That’s…not legal. And…Mi So goes straight back to the kitchen to continue cooking dinner. Un-freaking-believable that. There really is no reason for her to try to make things work when Min Jae really isn’t willing to man up and Myung Ja keeps abusing her (emotionally and mentally…she hasn’t gotten physical too much with Mi So). Anywho, Hae Ryung continues stalking her husband with his GPS and a spy in the office I guess. This girl never learns from her mistakes. Hae Ryung is very displeased to hear that the secretary doesn’t know who her husband met with (when he was out with Mi So). Enter Kyung Soo. Hae Ryung hangs up and Kyung Soo notices his schedule on the bed. Hae Ryung grabs it and hides it behind her back. She then says she warned him she’d be checking in on his schedule. Kyung Soo is annoyed. He tells her he’s already warned her about this and he can’t take such exhausting behavior. She didn’t learn her lesson when he lost his job as a prosecutor? Silence. In all honesty, both Hae Ryung and Kyung Soo are wrong. Hae Ryung was wrong to trick him into marriage and thus never trusting him while Kyung Soo was wrong for allowing guilt to make him marry a woman he didn’t love and could never love. Since he didn’t have the gumption to really make the marriage work and be the best he could to Hae Ryung (showing kindness and affection), then he shouldn’t have even married the girl. Anywho, Kyung Soo says she must not understand his feelings when he lost his job if she’s still pulling the same stunts. 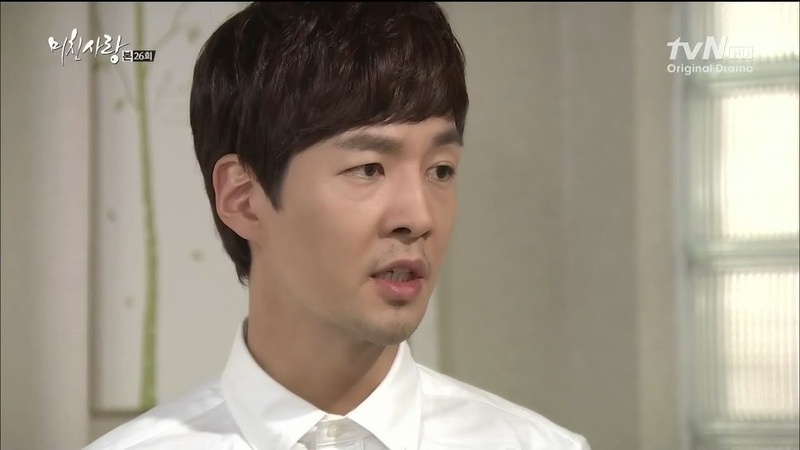 He turns to leave and Hae Ryung assures him she canceled the trace on his phone that very day. She will only check up on his daily schedule from now one so can’t he come back and sleep in the room instead of his study? Right…what you’re doing now isn’t any better sweetheart. When Kyung Soo doesn’t budge Hae Ryung screams and demands to know if being a prosecutor is all that important when he works for her father’s firm. As if the two can really be compared. Kyung Soo says nothing and walks out with Hae Ryung screaming and demanding to know why he married her if he was going to treat her like that. The fight between the children causes a fight between the parents. As much as Yoo Jung loves her stepdaughter, she is on Kyung Soo’s side while Tae San is on his daughter’s. Yoo Jung reminds him again of all the wrong things Hae Ryung has done to Kyung Soo and asks if her husband could accept such behavior done to him as well. She then scolds Tae San for not talking to Hae Ryung like she urged him to do. Of course, Tae San ignores this and wonders if he should have his son-in-law tailed since Kyung Soo has been acting odd of late. More annoyance on Yoo Jung’s part. Yoo Jung then warns if Kyung Soo ever learns the truth about Hae Ryung’s illness he won’t stand still. Probably not. Tae San then scolds Yoo Jung for sticking up for Kyung Soo instead of Hae Ryung and when Yoo Jung complains that he is also like a child he kicks her out of bed to sleep on the floor. How mature. Mi So is up making a cake early in the morning. 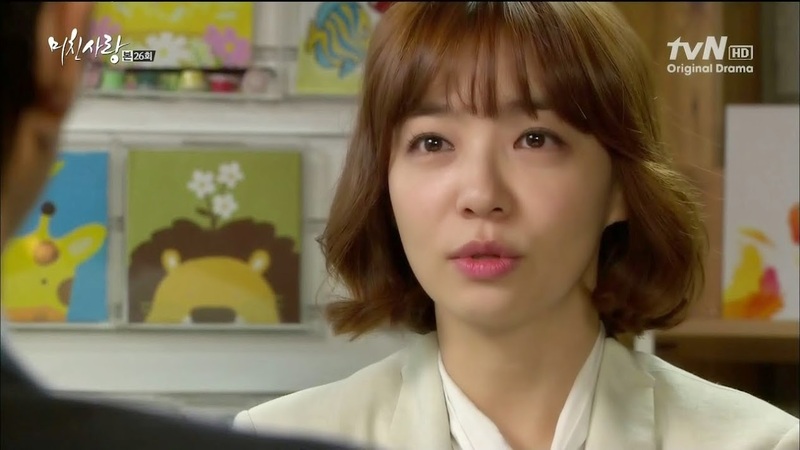 Myung Ja comes out and starts bawling her out for making Hae Ram a birthday cake because of that promise. Mi So begs Myung Ja not to force Hae Ram out of Mi So’s heart against Mi So’s will. Of course Min Jae comes in and watches the fireworks. Myung Ja starts screaming about Mi So being so good and them being so bad. Mi So states that wasn’t her intention and Min Jae then starts yelling, too about Mi So being horrible and doing these things. What is the point when there is no more Hae Ram? When Myung Ja keeps picking at her, Min Jae yells at his mother to stop and just ignore Mi So. Myung Ja starts screaming at him and Min Jae takes the cake and smashes it before going back to the bedroom. Myung Ja then screams that her life is being shortened and leaves as well. Mi So cries as she cleans up the cake. She tells Hae Ram that it is just because he is having a hard time and to not be disappointed in him. Nope. I’d say be disappointed in him. Mi So then goes to her father’s to celebrate Hae Ram’s birthday. Yoon asks about Myung Ja and can easily guess what happened earlier. Mi So says its understandable since Min Jae and Myung Ja are suffering as well. She then says this is her final birthday celebration for her daughter. She then asks Chan Ki to sing the birthday song. He takes out his guitar and sings for his niece. Why can’t Min Jae or Myung Ja understand that everything Mi So is doing is for the last time? Anywho, the song is over and Yoon takes out the very first present he ever bought Hae Ram for her 5th birthday. The whole family then starts crying and Mi So thanks them for celebrating Hae Ram’s birthday with her. Well…Na Young does have a conscience. Even if she ignores it. She has nightmares about everything that she’s done. Again, with her freaking out over the truck incident, it makes me wonder. But since the police didn’t find a dead little girl’s body…there’s still a chance. Aigoo, so confusing. So Na Young puts in a late night call to poor Baek who wants to know why she’s acting like this. Did she drink again? Of course. Na Young then says she’s turning into a monster and hating herself for living like she is. Baek tries to get her to calm down, but Na Young says that he hates her too for what happened with his life. She then cries and says he shouldn’t have fought for her. We then cut to the flashback where Baek switched the adoption papers. He seriously is only sticking with that girl out of his guilt. Wow. Again, never a good reason. 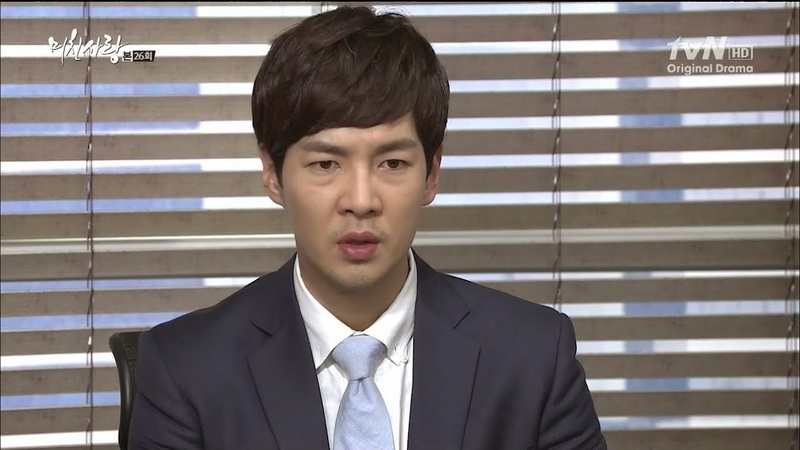 Na Young asks if he is concerned for her out of pity for her ruined life. Baek quickly tells her not to worry and hangs up. When Baek finds out the whole truth his guilt over the entire situation will probably eat him alive…or drive him crazy…who knows? Isn’t it amazing how one act over 20 years ago could cause such a horrible chain reaction of revenge and betrayal? Mi So goes about her more normal routine and puts in a call to Kyung Soo asking if he will be going to the orphanage that week. Yes. Why? Is she going, too? Mi So doesn’t feel up to it quite yet. She then asks to meet him. Since it’s for a favor, she asks to meet near his office. The two meet at a café and Mi So hands over an envelope saying she cashed out Hae Ram’s savings and insurance. Why is she giving that to Kyung Soo? Because she wants Kyung Soo to give it to the orphanage since she is unable to do so herself. 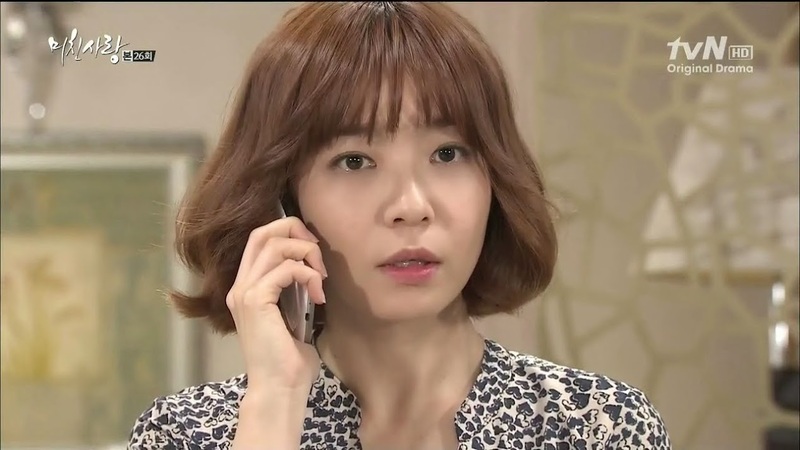 Of course, Na Young happens to pass by on the phone with Min Jae and she spies Mi So with Kyung Soo. She hangs up and then takes a picture of the two talking. 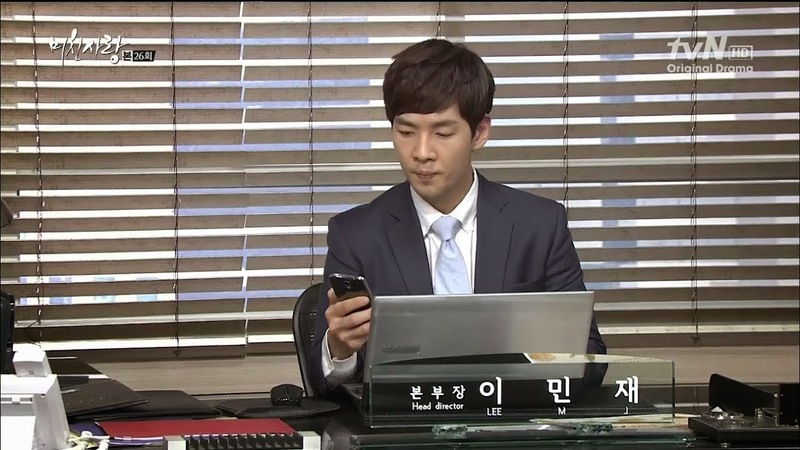 She then texts the photos to Min Jae. He’s not happy. Na Young then calls him and says that Mi So is with the man again. This is the third time she saw them together. Is she serious? Na Young then says they look pretty chummy and sends another picture of them chatting. Min Jae is livid. Back in the café, Mi So explains how much the orphanage met to Hae Ram and how Hae Ram would save up money. Whenever her piggy was full, she’d have Mi So deposit the money in the bank for her. Hae Ram’s goal was to save enough money to buy a big present for the children there. Mi So believes that her giving Hae Ram’s money to the orphanage is what her daughter would want. She then says she brought cookies for Kyung Soo to take to give to the children since she isn’t up to going yet. Kyung Soo agrees to take them and asks if she will go with him next time. Mi So doesn’t know if she can treat the kids the same since her Hae Ram is gone and she doesn’t want to hurt them. Is that wrong of her? No, it isn’t. Kyung Soo assures Mi So they will understand and asks her to go with him when she is ready. Mi So then apologizes for taking up an hour of his time. 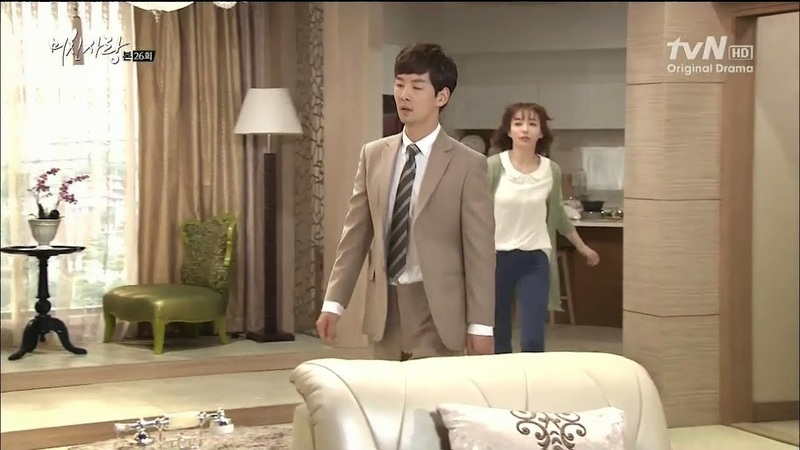 As the two get up to leave, Min Jae goes rushing in and demands to know what Mi So is doing with his wife. Kyung Soo says there is a misunderstanding. Mi So asks her husband why he’s humiliating her like this and rushes out of the café. Min Jae warns Kyung Soo it isn’t over and rushes after Mi So as Na Young watches from around the corner. At the Lee house, Min Jae demands an explanation and when Mi So refuses, Min Jae throws a pitcher of water at the wall. OMG. Kyung Soo goes back to his office worrying over the scene with Min Jae. We then cut back to Mi So, frightened, explaining just who Kyung So is and why she was meeting him. This upsets Min Jae greatly. He gripes about Mi So donating Hae Ram’s money to the orphanage without consulting him. He accuses Mi So of spending too much time looking after the orphans instead of her own daughter. Aigoo. He then starts breaking things and screaming and Mi So to bring Hae Ram back. When she asks for forgiveness, he snaps and slaps her hard. Myung Ja looks pretty shocked to see her precious son act like a flipping mad man. I knew Min Jae was flawed, but never expected him to be as bad as he is. Yes, he’s hurting, too, but that NEVER excuses violence…especially towards a woman and in particularly his wife. I guess Min Jae was too angry to even notice that neither Kyung Soo nor Mi So were acting guilty at all. Yes, they were surprised, but not in that guilty were were caught cheating way. Mi So’s shock at Min Jae’s questioning is proof that she isn’t cheating and that the thought never crossed her mind, but Min Jae never listens to reason…or reality.